New York at night buzzes with the endless array of fashion, innovative interiors, music and popularity. With a city full of potential it’s easy to loose sight of why you went out in the first place. It’s not to be seen or flaunt your ego. It’s to experience an atmosphere, a moment in time, which really allows you to let it all hang out and share with like minded people. No one curates this experience better then David Mancuso. I’ve been blessed to have attended two of his Loft Parties. 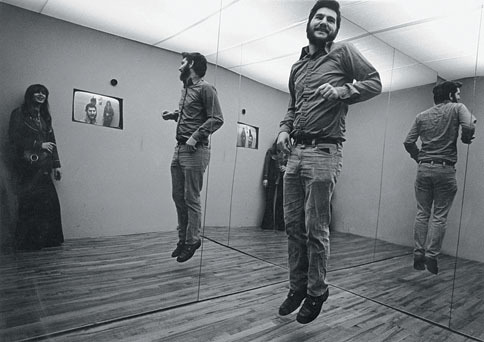 David has been curating music events since the 1970’s pioneering the longest running “private party”. These events are widely different from the conventional nightclub business model, on a fundamental level there is no liquor or food sold (only given). In additional, to his unconventional form of playing records (abandoning mixing and beat matching). It goes much deeper then this though, he delivers an overall sense of community, openness and radiance based off rhythm and ambiance. 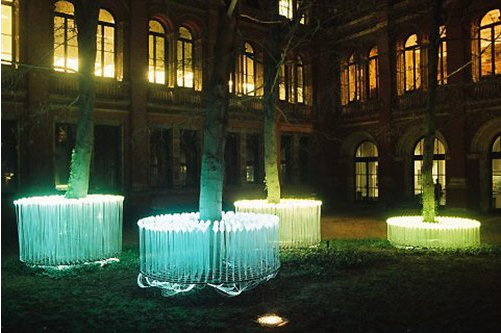 He brings together the highest-end sound system for a party in the world. It enables people to hear music in the clearest way possible, and immerse yourself in the music in a deeper way. It’s loud enough to get lost but quite enough to carry on a normal conversation with your comrade. Then there’s the music itself: One of the things that David has always tried to do at the Loft is to enable people to hear music in the way that the artist intended. 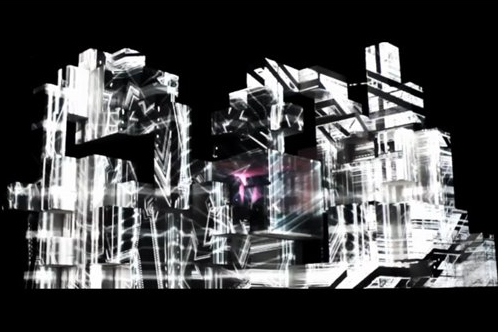 The point is to have a deep emotional experience with the music, as opposed to having DJs’ egos involved. That’s why there’s no mixing. Requiring him to choose quality songs that are great from beginning to end and that tell a story in themselves. 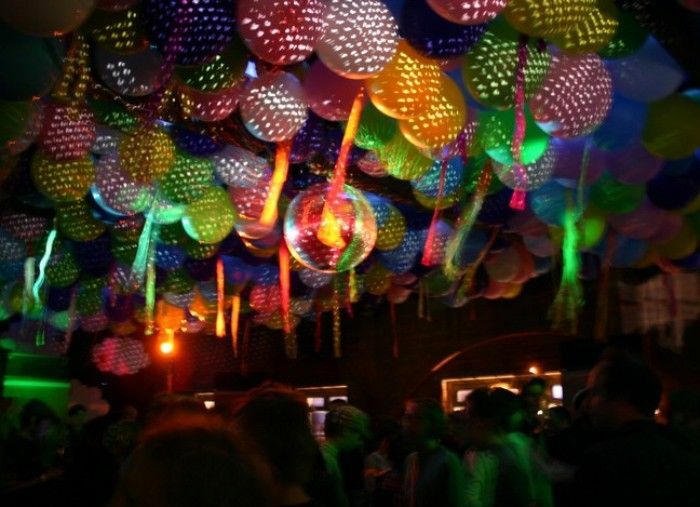 Will nightclubs ever be able to recapture the purity that they once had? In my opinion, it will only happen if your audience is there for the music and the promoter is there to curate an experience based solely on music. Currently, I’m working with an innovations group in the pharmaceutical industry facilitating creative sessions around brand equity and new product development. The pharmaceutical industry is plagued with legal and regulatory minefields making creative thinking a challenge. During our first brainstorm sessions I notice my clients were exhausted. Almost crippled by in the box thinking, making it impossible for them to think of any new ideas or think differently about what they currently obtain. What we needed was inspiration to continue to stretch and truly reach our creative potential. I don’t believe that inspiration is sufficiently served up in even the most compelling office environments, nor among the most creative cultures. So we needed to get out of the office some times. I also believe when I’m happy, I am more creative and productive. 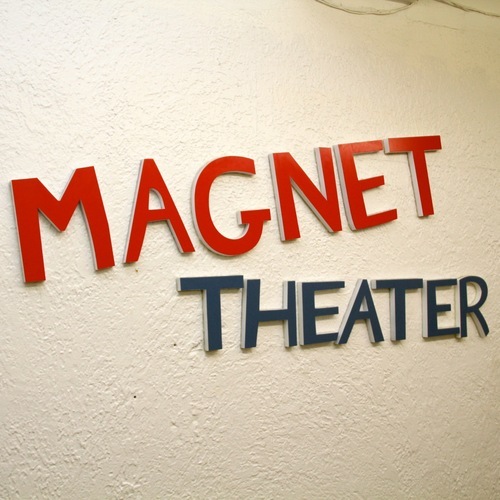 Armed with this knowledge and an exhausted team of scientists, brand planners and brand managers we headed to an improv class at “Magnet Theater”. Nothing gets people more energized and thinking creatively then laughing for three hours. Next time you are stumped, I recommend getting out of the office to try and solve it. For any of you who have been to a lecture that has gone on for way too long can understand why PechaKucha was established. The name steamed from the Japanese term for “chitchat” also relating to its format: 20 images x 20 seconds a slide. In turn the presentations are concise and keeps things moving at a rapid pace. 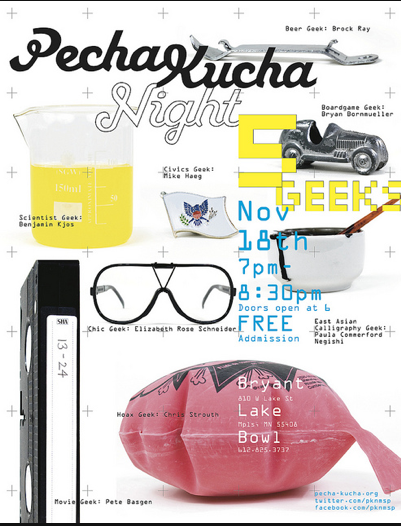 PechaKucha Nights are informal and entertaining gatherings where creative people get together and share their ideas, works, thoughts—just about anything. I was invited to participate in a PechaKucha event in Minneapolis, MN focused around the theme “Geeks”. Anyone who knows me, knows I know more about this topic than any other topic. I’ve been a geek my whole life: wear a calculator watch I got when I was 18, only write with .5 mm black quick-dry sharpie fine point pen, my laugh is obnoxious and I appreciate Askie Art. But seriously I can speak to this topic because I’m a lurker or an observer of culture. I’ve noticed something interesting about the classified term “Geek”. It’s no longer a bad term, Geek’s are chic. It’s time to face reality. Being computer savvy is no longer just for nerdy computer lab dwelling geeks, it’s a must to succeed in the wired future of tomorrow. People are celebrating their geekiness in a variety of ways, from ironic T-shirt to cell phone carriers. Knowledge is power and geek is chic. I believe the fashion world is taking inspiration produced by the “geek” and made a little less disingenuous coining “geek chic”. I also believe that geeks are the true originators of most everything brilliant from computers to music. Now there is a big difference between the terms Geeks and Nerds. Here are some visual cues that you are looking at a geek: 95% wear black framed glasses and has an extensive collection of ironic t-sheers, normally hangs with a circle of tight knit friends, mostly life-long friends possibly considered an outsider in high school or college due to said geek obsession, starts a lot of conversations with “did you know” and can re-sight word for word Star Wars movies and facts. Not to be confused with Nerds. Nerd: A socially awkward person who has learned technical skills due to the spare time they enjoy from being generally neglected. Dork: A person who, although also socially awkward, doesn’t have the intelligence to fill the void with technical pursuits, like a nerd, and is forced to do mindless activities. The entertainment industry has simply wised-up and pushed geek-friendly into mainstream. Threadless with it’s endless variety of ironic T-shirts. Phiber Optik AKA Mark Abene the first popular hacker – he crashed AT&T. Hacker’s was based off of. These are all geeks that have changed our culture. GEEK is not a phase or a trend: that’s what we do and it’s how we evolve culture. STAY OBSESSED STAY GEEK. Here in the Midwest there has been little sign of winter—no snowfall, no frantic hustle and bustle in the streets, no smell of gingerbread in the air—making it challenging to get into the holiday spirit. 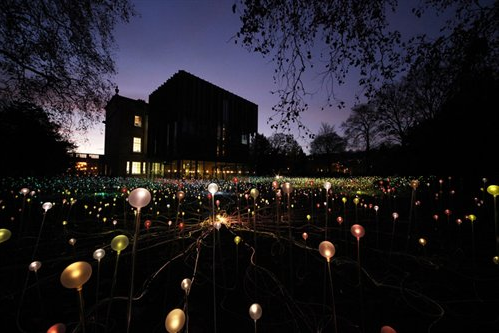 Meanwhile, across the pond, The Holburne Museum in Bath is more joyous and enchanting then ever. 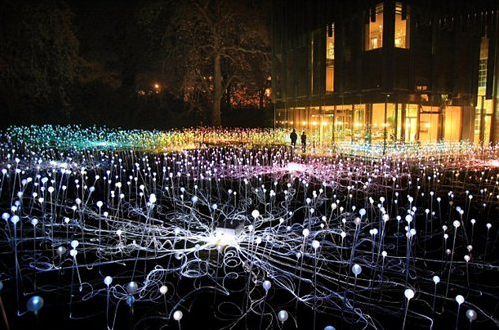 Bruce Munro created The Field of Lights, an instillation of over 5,000 glass spheres creating patterns of color and rhythms of light in the museum’s garden. 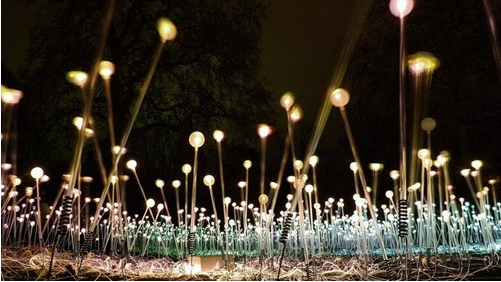 This truly uplifting experience was created to lighten the darkest time of year: as daylight fades, the bulbs blossom. What makes you happy? What is your happiest memory? What is your favorite joke? What is your level of happiness between 1 and 10? If you could make one wish, what would it be? It’s been reviewed, analyzed and debated: why are Bhutan’s residents at such peace? In 2007, Jonathan Harris conducted an experiment called “Gross National Happiness” to measure Bhutan’s socio-economic prosperity, studying the nation’s focus around the basic tenets of Buddhism. Jonathan interviewed 117 people of all ages and backgrounds giving each one balloons to inflate, making their wishes and ideas tangible. On the last night, over one hundred “wish balloons” floated in the wind representing a nation’s happiness. Please check out his beautiful experiment, Balloons of Bhutan, the brilliant stories he has uncovered and the art of living. It has been repeatedly stated that “technology is revolutionizing the way we live our lives and conduct business.” Perhaps the most obvious example of this is how the internet has changed the concept of communication. We can communicate on a global platform, targeting like-minded individuals. Here’s a brilliant example of how dreams can come true using social media and technology. The website Kickstarter is a platform for dreamers. It’s a new way to fund creative projects. Their philosophy is “a good idea, communicated well, can spread fast and wide” while “a large group of people can be a tremendous source of money and encouragement”. 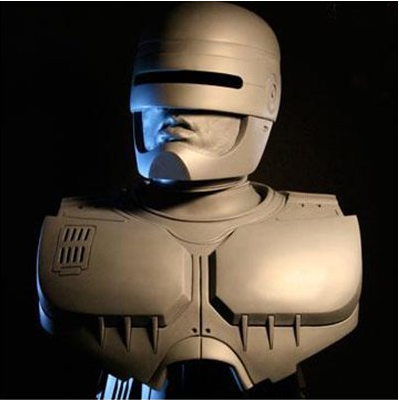 @MT There are not any plans to erect a statue of Robocop. Thank you for the suggestion. Social networks blow-up instantly. Facebook groups were created, bloggers commented and Twitter exploded with the comical idea of bringing Robo to life. A project was then created on Kickstarter and in 4 days over $17,000 was pledged. As of today, with 36 days left on the project plan, they have already reached their goal of $50,000. Robocop is on his way to Detroit. Please read this story. It’s a humorous one, it’s also incredibly inspiring to see people pull together to make dreams come true and it’s proof that technology is truly revolutionizing the way we live our lives. When people turn 30 they have this retrospective moment. What am I doing? Who have I become? Where will I be going? How did I not accomplish these childhood dreams? The way your life is, isn’t the way you thought it would be when you imagined it as a youngster. I’ve recently turned 30 and realized it’s not about what I had imagined life would be like for me. It’s about what my life is and how I treat if from a daily, weekly and yearly prospective through experiences, moments and goals. It’s about living each moment and creating experiences. In other words personal growth and leaving your mark. 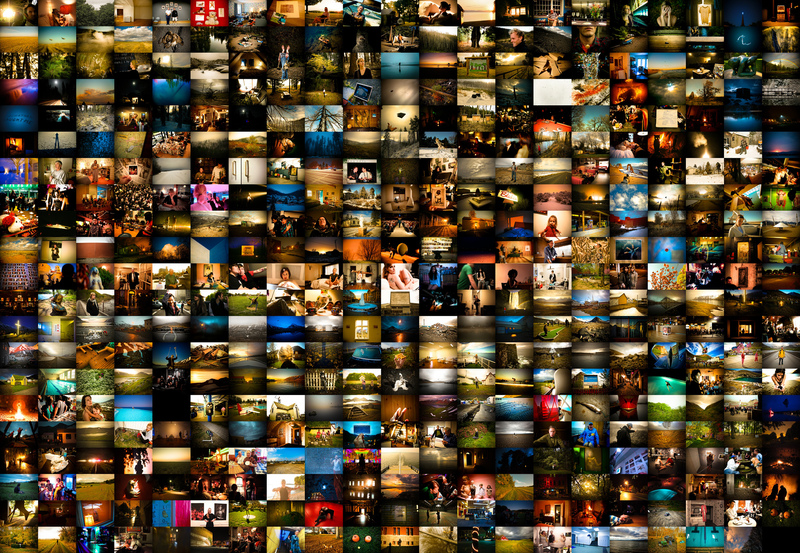 You do this by creating experiences and sharing the stories. Treating each day as a journey to your next goal and helping others to do the same. This is how you create a legacy. And in the end what life is, is what you created and how you touched others. Being more aware of life as it’s passing. Recently I just stumbled across Jonathan Harris’s film, Today. He started a project just for this reason. To be more in the moment. To have more memories. To live more richly. Everyday for a full year he took a picture to tell a story about his life and his day. It’s one of the most beautiful things I have seen in a long time. Please this is worth eight minutes and 32 seconds of your day. He expressed brilliantly the feeling most of us go through during phases of our lives. As a child my mother taught me how to create my own clothes and style. For my first career I was the HR Manager for Victoria’s Secret in the Mall of America. I have a degree in Fashion Marketing, the point I’m trying to make is I have a strong knowledge and passion for fashion and the consumer shopping experience. This month I participated in a retail market research study with the Intelligence Group. The Intelligence Group, publisher of trendcentral, is a trend research and youth-focused consumer insights company dedicated to identifying emerging movements in popular culture and then translating that data and observations into relevant knowledge for companies, brands, and institutions. For two weeks, The Intelligence Group had a forum of twenty-five young adults discussing fashion, creating style diaries, developing photo albums of interests, answering questions, sharing opinions, and doing fashion assignments. I was able to collaborate with people from California to Europe on a forum called Cassandra Speaks. It’s here where we had an open forum to say and create anything we wanted that related to our interest in shopping, clothing and culture. By creating such a niche forum of hand-selected applicants with no limit to location, Trend Central is able to stay connected to the consumer. This allows them to stay ahead of emerging attitudes and cultural movements from all over the world. I loved participating in this forum; I was actually disappointed when it was over, so were my given fashion assignments.